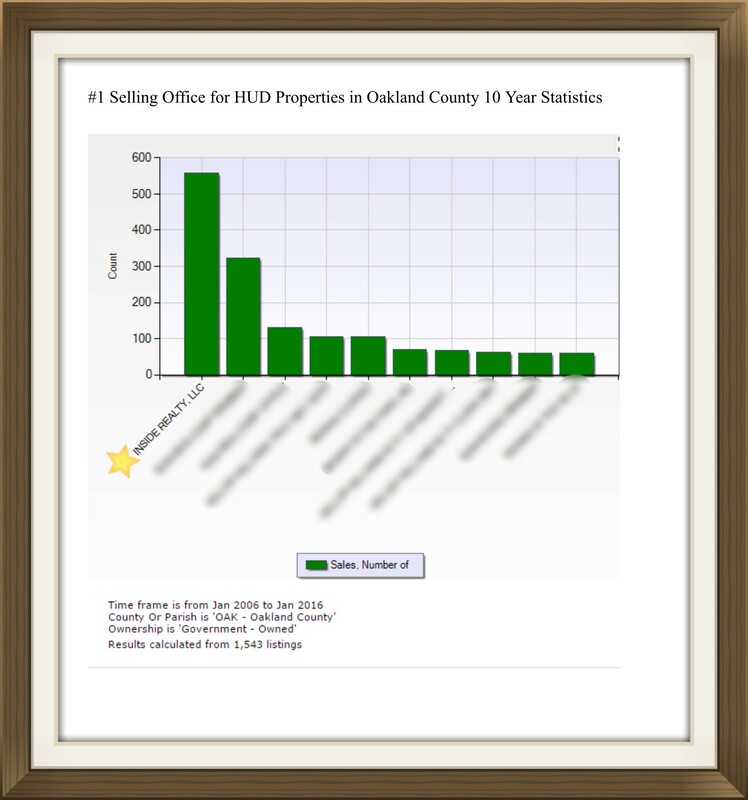 Ranked #1 in Sales in our area for the past ten years! 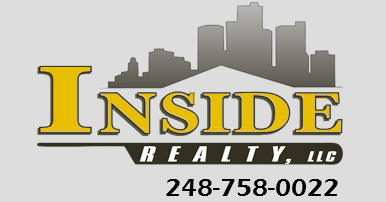 With Inside Realty, you have the best of both worlds! The experience of the big companies in your friendly, local agency. 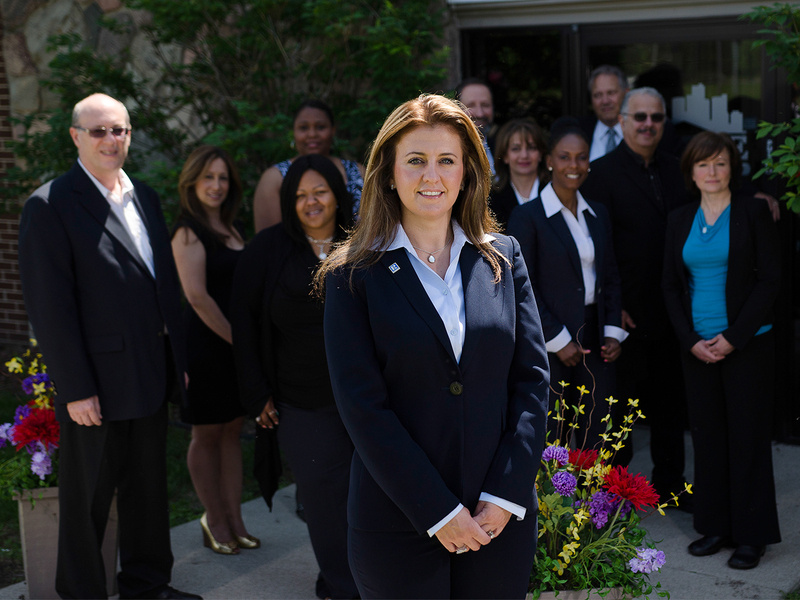 Our experience shows...you'll notice it when you speak with our experienced agents and knowledgeable staff. 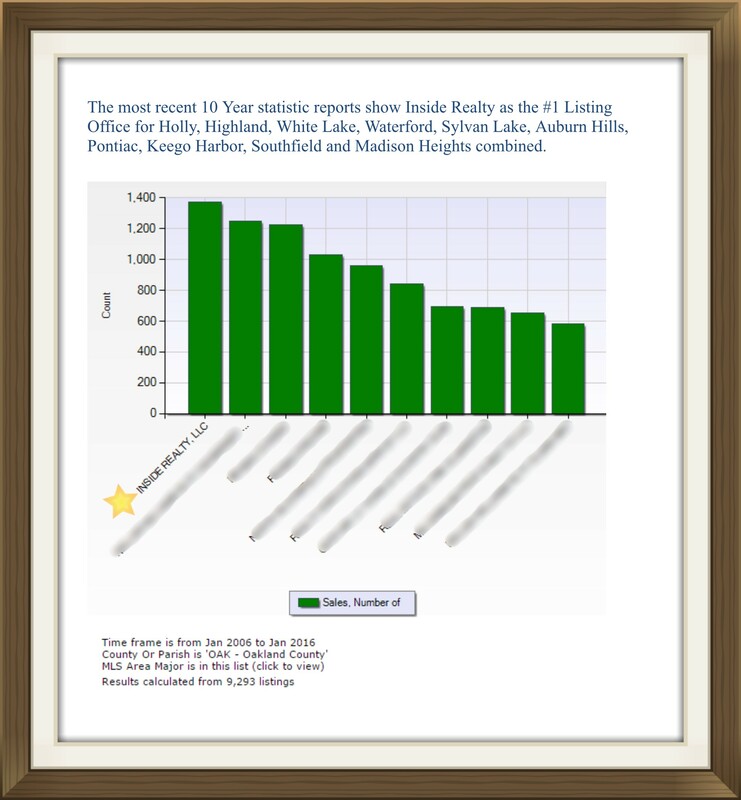 And you'll appreciate it as your home sale or purchase moves forward like clockwork. 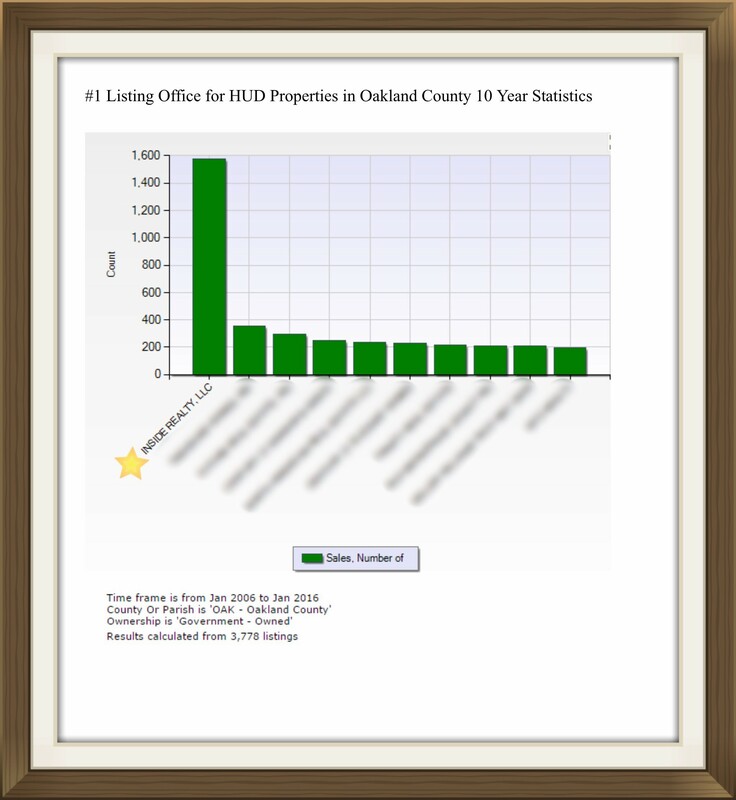 We work hard to make your real estate transaction care free, and a glance at our sales history shows it! 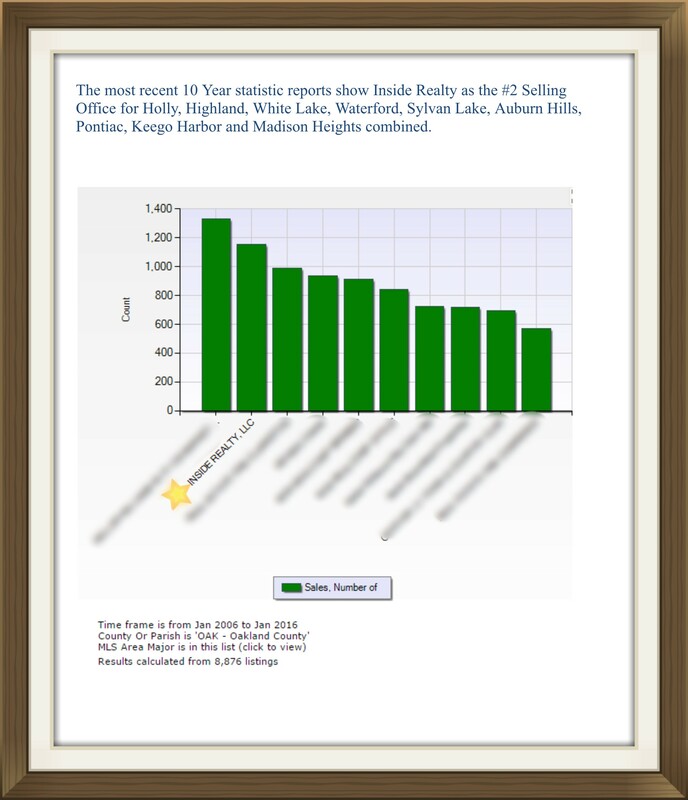 #1 Listing Office for Holly, Highland, White Lake, Waterford, Sylvan Lake, Auburn Hills, Pontiac, Keego Harbor, Southfield and Madison Heights combined.